Tracy and I are sitting on the curb outside of our house waiting for a text. Her hand reaches out for mine and she gives it a gentle squeeze. I kick the dirt with my sneaker and take a deep breath. We are all smiles and nerves and giddiness. Andy is inside. Doing his part for the making of a baby and we are waiting for the OK to come back. We’ve done this dance a few times now and it’s becoming a bit more normal. As normal as it can be to have a man you met online producing sperm in your spare room. But there is an electricity in the air today. The timing is perfect. My uterus feels ready. I feel ready. The phone in my hand buzzes and I look down to see Andy’s “OK.” Our text history is just a series of OKs. Two letters meant to signify that it is safe to return. His part is done. Now it’s on us. I move quickly into the house and into my bedroom before he emerges from the spare room. We agreed that since I will be pushing a watermelon sized child out of a substantially smaller hole that she should be the one to do the sperm hand-off. Fair is fair. She enters our bedroom a moment later with an artichoke jar full of sperm kept warm in her sports bra and a big smile on her face. “Are you ready to become a mom today?” I ask her. “So ready,” she smiles back. The overhead lights at the hospital are bright and I can feel them warming my exposed belly. The contraction monitor jumps as Mac tries to kick it off from the inside. We rushed to the hospital, scared we were loosing him, and now we are just waiting. The hurry-up and wait is hard. Mac kicks, offering me gentle reassurances that he will not be arriving early. I reach out for Tracy’s hand and put it on my belly. “Can you feel that?” I ask her. “I’m not ready to become a mom today,” she responds. “You won’t be,” I assure her. I am hot. And tired. And very very pregnant. The kind of pregnant that makes people wince and sigh sympathetically. Suddenly I have an overwhelming need to go out for breakfast. I want one more date before the baby arrives. I’m too pregnant for Tracy to say no to anything I ask so we go. That night she rubs my belly and tells me she’s going to miss it. I roll my eyes. Easy for her to say. At this moment I can’t imagine missing the swelling, the sweating, the sciatica. I glance over at the clock, counting, the pain is getting predictable. Every ten minutes. Lasting a minute. “Are you ready to become a mom today?” I ask my wife. “Really?” she asks with eyes wide. I’m flipping through the mail. It’s mostly junk mail. Bills come electronically these days. But one envelope looks different from the others. “Tracy Lynn Ireland” is hand written on the front and the return address has an official looking stamp. “Babe I think it’s here,” I pass her the envelope. Like a kid on Christmas morning she tears it open. She’s all smiles and nerves and giddiness. “What does it say?” I ask impatiently. “I think I became his mom today,” she says with a sigh. “No babe. You already were,” I respond. 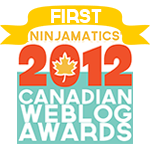 I am so honoured to announce that as a result of this post I was named as one of BlogHer's 2012 Voices of the Year. This made me cry! Beautiful- and Congrats to Tracy on the legal title! That was so heart warming that I clicked on Top Mommy Blogs 5 times. Not sure if it works that way, but it deserved it! HA! No, only once per 24 hours! But thank-you! Congratulations! I'm so glad I get to read your blog. I feel like I'm part of a special group of people who gets to celebrate all the awesome things that keep happening to you--and we've never met! Thank you for sharing, and also for making me feel like I'm not alone as I take care of my 12-week-old baby boy. aawww.... what a beautiful comment. Thank-you! Amazing, and so close to home. Tears of joy for all of you. I'm sure you can understand the joy. The changing of everything and nothing. Thank-you for witnessing. We feel so privileged to have so many people supporting us! Great recap of the special moments in becoming mommy! My wife and son certainly are! Fantastic blog post, Kris!! Just beautiful. Oh - tears! So happy for you! Omg! I'm balling! So amazing! Congrats to all! Reading this as I look down at my nursing 4 week old son just somehow puts it all into perspective! Love it! Love the video! My daughter was born in August and it took until April for her to legally, on paper, to be mine - I was happy it was over, but I felt no different - she was mine the minute she was conceived!! so ridiculous! I'm glad you finally have the right one! So perfect. And I'm in tears yet again reading your post... Congratulations on the legal stuff catching up to the reality! I'm a fairly new reader, and although I have some catching up to do I just wanted to say that I LOVE your blog! I love your story, and this post was beautiful. Congrats! What a great comment! Thank-you so much! I love the way you linked all these threads together with a single question. You're a beautiful writer -- and you have a beautiful story. Thank-you so much. Your kind words are very appreciated. That is an awesome post (I read last week's and loved it too). And that video brought tears to my eyes! Thank-you so much for saying that TriGirl! Bravo! Love the structure of this story and the reprisal of "Are you ready. . ." Beautiful ending, and you totally get a click from me on the Mommy Blog front; I'll try to remember to come back every twenty-four hours. Congrats! Fabulous story! Congrats on everything! you need a tissue alert on this one as i am bawling happy tears. congrats on all of it to all of you!! I appreciate that so much Robbie! EEEEEeeeeekkkkk! Im so excited for you, Tracey and Mac...looks by the video that you have lots of friends/fam who were also excited to share in this amazing journey! Yes, we are very blessed! This brought a tear to my eye-you're right, being a mom is so much more than a birth certificate with your name printed on it. Tracy was a mom from the get-go from the day she passed you the artichoke jar. The video was great, by the way! You're a beautiful family. She certainly was. And we are privileged to live in a country where that "realness" can be official as well. Thank-you. This was gorgeous, creative, and extremely well-written. The love you and your wife have for each other emanates through the screen. What a gorgeous story, so glad that I found your blog. What love you all have for each other. Thank-you Jessica. Yes, we are very, very lucky to love and be loved the way we do/are. And love makes another family! Beautiful story, exceptional writing. Such a beautiful story. Thanks for sharing this with us. Following now. Aww how sweet! Congrats on your mommyhood(s)! with two very lucky moms! Sweet telling of a story in bite size parts. Nicely done. This is so heartwarming, i can feel the trickle of tears as I read this post. Congrats to both of you. What a kind comment. Thank-you. That's awesome Laura! Had we used a sperm bank we would have had that option as well but since we used a known donor we couldn't legally put my wife's name on the birth certificate. We'll have to order a new one now though! Fantastic story about a wonderful family. I'm so glad to have met you through YW. Looking forward to more. Awesome, awesome, awesome and chill-inspiring. Yay you two!!! I just couldn't stop reading! I love the scenes and the repetition in the lines. Wonderful story-telling. Gorgeous story. Your story gives me hope that I might finally be a mom one day. Infertility be damned. Thank you for that--it's a rare thing. Awww - I loved this. And now I'm crying at work. Great! I love how you presented it with the different moments in time. Wonderful! So much love here. I echo everything everyone said in the previous comments. Great to have found your blog, I'm grateful. I'm late visiting this week- but thanks so much for linking up! Thanks so much for participating in Blogging for LGBT Families Day! I loved the post when you wrote it in April, and I'm so glad you submitted it for the event! Just came over from BlogHer VOTY (finally!) - this piece made me tear up and cheer. So happy for you and your family. 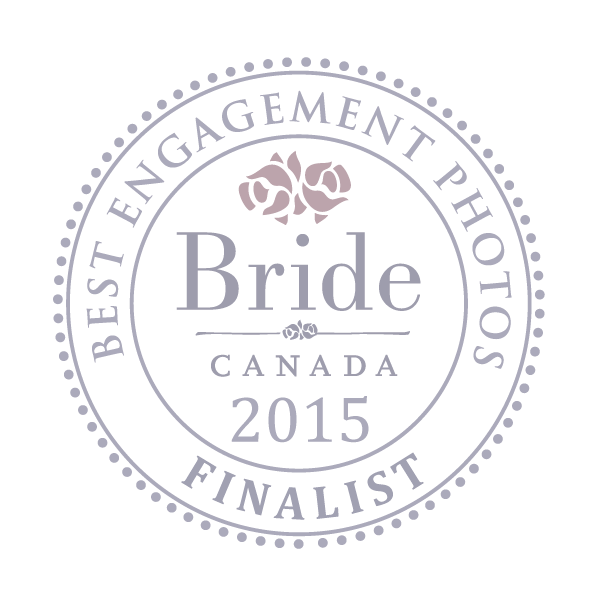 And congrats on the recognition from BlogHer. Well deserved. this post brought tears to my eyes! found your blog through the 100 Best Sites for Pregnancy and Parenting at the ultrasound site.